Elven Village Volume 1 is one of our most popular 3d model sets. 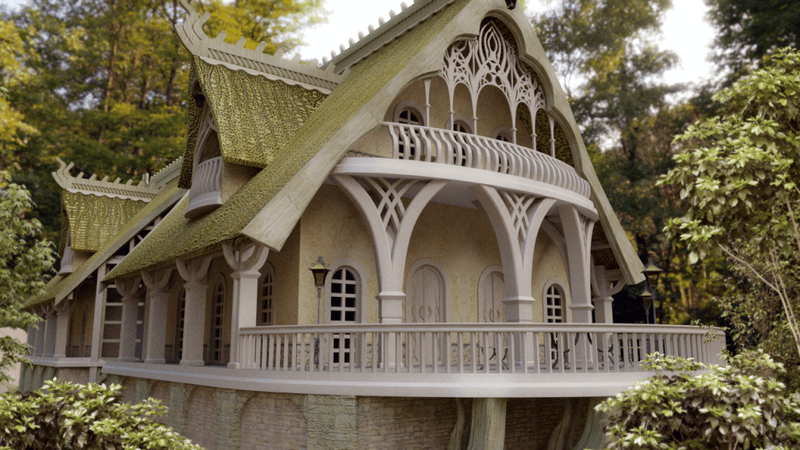 Take a look at a render of Elven Village Inn. Elven Village Volume 1 is a beautiful fantasy model set of eight models, available for Poser / DAZ Studio, Vue, Bryce and Shade 3D (and a Blender version is coming). It is also available for 3DS MAX with a game development license. This is a first render of Elven Village Inn, showing the back porch. A number of plants are all added in in postwork. There aren’t many modifications to the base model here, with just some native materials for glass.